Aquaponics is a mixture of Aquaculture as well as Hydroponics. The two, Hydroponics and Aquaculture both have disadvantages. Hydroponics demand costly nutrients in feeding the plants, in addition, it also needs frequent flushing of its systems, this could lead to an increase in waste disposal. In order to recirculate the needs of aquaculture, excess nutrients have to be discarded out of the system and when this happens this could only mean that a fraction of the water is taken away, normally on a day-to-day basis. The discarded water, which is basically rich in nutrients are then replaced with fresh water. Although recirculating hydroponics and aquaculture are very resourceful techniques of producing vegetables and fish, when we start to add the two negatives, surprisingly the outcomes become positives. The quality and practical features of hydroponics and aquaculture are preserved and the negatives cease to exist. Talking about Aquaponics, it can either be simple or complex depending on how you want it to be. A simple system like the one showed below is actually made from a single IBC or Intermediate Bulk Container. The topmost area was removed and positioned upside down turning it into a grow bed for the plants. From the fish tank, water is pumped up and channeled to the grow bed. The water dribbles through the media and goes past the roots of the plant before it drains back to the fish tank. The plants take all the nutrients and water they need in order to grow and simultaneously clean the water for the fish. On the surface of the growbed media resides lots of bacteria. These bacteria transform ammonia wastes coming from the fish into nitrates that are useful for the plants. This conversion from ammonia to nitrates is a process coined as “the nitrogen cycle” (See Nitrogen Cycle). This cycle will be explained in depth later on. One of the most common methods of growing plants in an Aquaponic system is filling growbeds with expanded clay pebbles or gravel. However, this isn’t the only method you can try for your plants. There are several other methods that you can use. As a matter of fact, any type of process of hydroponic growing can also be used in Aquaponics. You can grow plants and cultivate them in floating foam rafts on the surface of the water. You can also grow vegetables through the NFT Technique or the Nutrient Film Technique or to other various methods that use a “run to waste” form of growing. This can be done by taking away a fraction of the fish water every day; as well as watering the vegetables planted in a different media like vermiculite, coir peat or perlite among others. Various species of fish can be cultivated in an Aquaponic system but how you select your species rely largely on several factors and that includes the regulations of your local government. Fish of high stocking densities can grow in an Aquaponic system, and since it follows a recirculating method, very minimal water is needed. 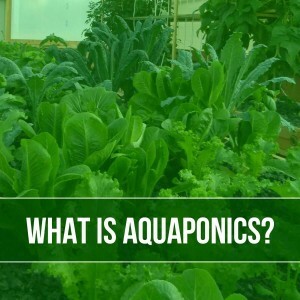 Several types of research have revealed that an Aquaponic system utilizes about one-tenth of the water used compared to growing vegetables on the ground. So you see, an Aquaponic system can be very productive. I was able to come up with fifty kilograms of fish and about hundreds of kilograms worth of vegetables in just six months in a space that is just about the size of a typical carport, 8m x 4m. Copyright © 2012 Outdoor Aquaponics. At Outdoor Aquaponics, we believe that a gardener should have a source of useful information and guides to become empowered and successful. We value studying, learning and collaborating. We take every opportunity we can to learn from the innovators in aquaponics, aquaculture, controlled environment agriculture, wastewater treatment, food safety, renewable energy and the like.